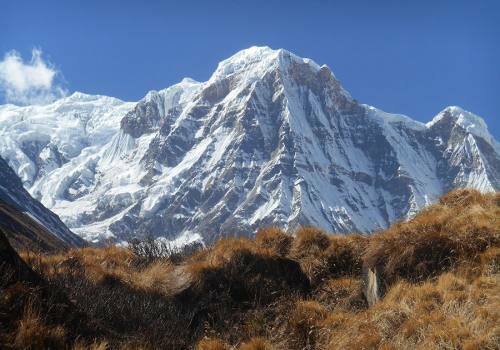 The Mardi Himal Base Camp Trek is less than 20 km north of Pokhara in Nepal. Mardi Himal Base Camp Trek is the southernmost summit of the Annapurna Mountains. 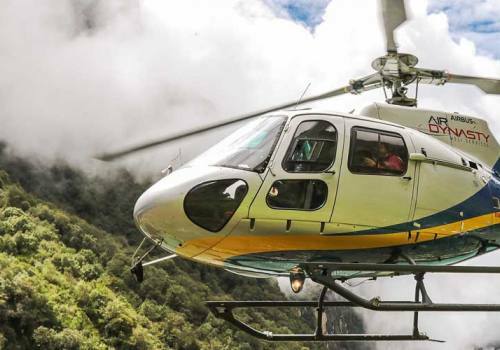 Normally the trekking to Mardi Himal base camp can be done in 9 days but depends on your choice, can be minimized short of 7 to 5 days as well. Or can be extended up to 10 days including hot spring of Jhinu Danda and ending at Nayapul following through Modi River. The photos taken in 1953 by the Englishman Basil Good fellow caused the mountain to be "discovered". The first ascent was in 1961, via the east wall. Mardi Himal Base Camp Trek is the most used route so far. Attempts to climb through the south wall have so far failed. The mountain lies in the extension of the south-west bone of its "big brother" Machhapuchhare and is most visible from the south. The south-western wall has three distinct rock boulders with hanging glaciers in between. The east wall is separated from the Machhapuchhare ridge by a pass at 5200 meters. The most common climbing route is via this pass. 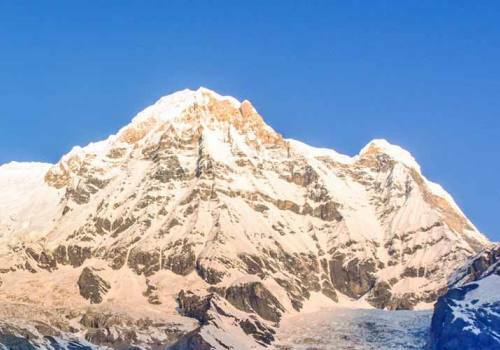 The summit offers the most beautiful view of the Machhapuchhare and other peaks of the Annapurna massif. The increasing flow of tourists for trekking has forced the country to identify new trekking routes and Mardi Himal Base Camp Trek is one of it. 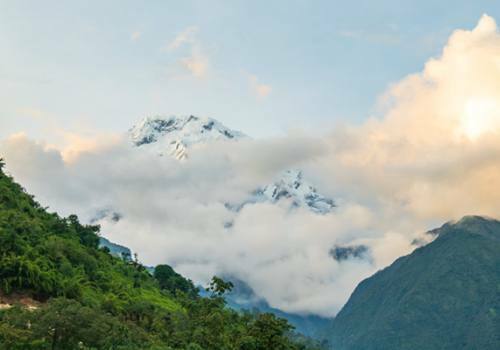 Mardi Himal Base Camp Trek is a hidden gem that was recently opened in the Annapurna region. 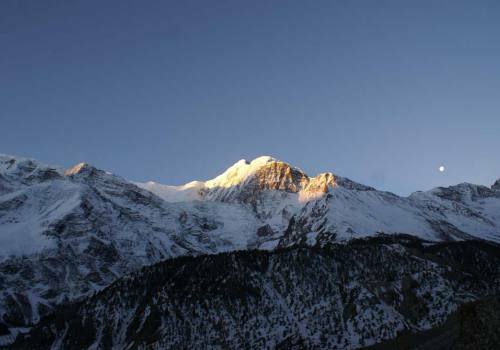 The trek offers awe-inspiring views of Annapurna South, Himchuli, Machapuchhre, Ganga Purna, Annapurna I and Mardi Himal. Kande is a starting point for the trekking. It is an hour drive away from Pokhara. The Mardi Himal Base Camp Trek is very spontaneous as it goes up slowly and gets steeper before arriving Camp.The trail passes through a forest following ‘ukalo (uphill) and oralo (downhill)’. 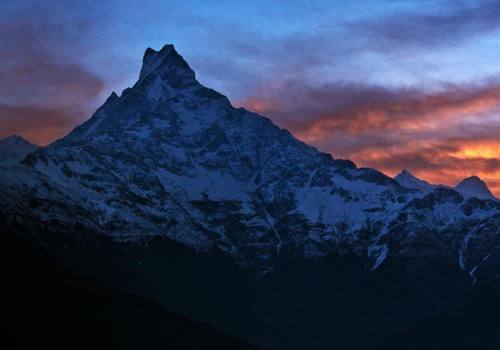 Before reaching Mardi Himal base Camp you get sight of Machhapuchhre (Fishtail) Himal which is really beautiful. For any trek, there will be one leader, and Sherpa porter (1 porter for 2 trekkers). This arrangement is done for the smooth running of the campaign. It ensures that the trip will carry on as per plan even if anybody in a group gets sick. NTA can operate this trek for a group of any size. But, a group of 10 are considered as optimum size. However, if you have a group of more than 10, NTA can arrange this too. We will spend three nights at a luxury hotel in Kathmandu. While on trek, we will spend 09 nights at local tea houses. 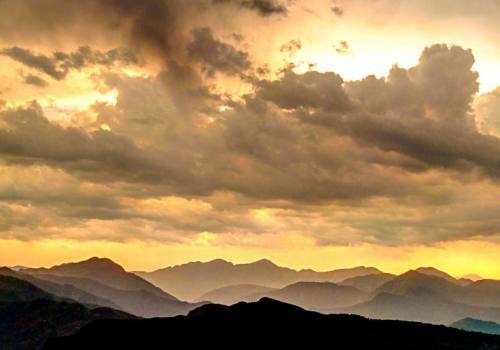 All accommodations for this trek will be on twin sharing basis. However, on request, single rooms can also be made available but it costs additional $ $ 300 to 300 US. You have to make adjustments if in some places single rooms are not be available. During Mardi Himal Base Camp Trek, we will enjoy typical Nepali food, different ethnic cuisines as well as all types of international cuisine like, Tibetan, Continental, Italian, and Indian. You can even enjoy hot chocolates, breads and drinks of different variety and snacks. Breakfast of a day will be served at the same tea house or lodge where we spent the night, as per its menu. Lunch will be served on the way to destination and dinner will be served at the tea house where you spend the night. A welcome dinner, a farewell dinner and breakfasts will be served during our stay in Kathmandu. You will get on arrival visa for Nepal. 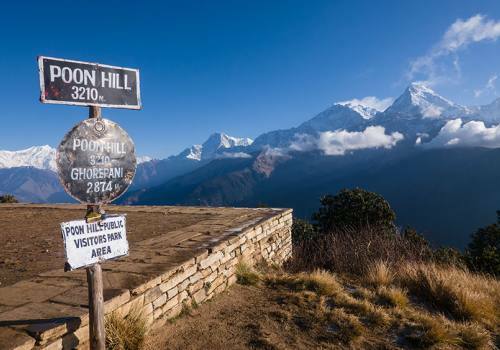 On arriving Nepal you will get tourist visa for 15 to five months. It depends upon your purpose of visit but regarding tour you will get the visa for 15 to three months. For trekking you need to submit photocopy of passport and two pp size photo of yours. Day 01:Drive to Pokhara from Kathmandu After breakfast drive 200km to Pokhara from Kathmandu (6-7 hours) by private bus. The ride provides the beautiful view of terraced rice field, eye catching landscape, Trisuli and Marsyangdi Rivers and Ganesh Himal, Manaslu, Lamjung Himal and most of Annapurna Himalayan Range. The team members stop for some hours for breakfast and stay overnight in Pokhara. Day 02:Drive to Kande from Pokhara and trek to Pothana After having breakfast, we start our journey with a drive to Kande and start trekking from there. We reach to Pohtana viewing beautiful houses, cattles, and trees. We take rest and stay overnight at teahouse over there. Day 03:Pothana to Forest Camp We trek for this day start with the passage through the dense forest covered with red rhododendron (National flower of Nepal). The appearance of flower in green dense forest makes the sight more delightful. Our trek continues until we reach the forest camp, which is locally known as Kokar. Overnight in Forest Camp. Day 04:Forest Camp to High Camp Via Low camp We start our patrol to Low camp through murky forest viewing and applauding the beautiful forest filled with rhododendron and other admirable flora and fauna. From Low camp, we can get very peaceful and charming view of Mt. Machapuchhre (Mt. Fishtail). We also enjoy the cultures and lifestyle of local residents. After a lunch at low camp, our trek starts leaving the dense forest behind and admiring the beautiful view towards Mardi Himal and Machapuchhre. On the way, we can view the beautiful appearance of Danphe (National bird of Nepal) if our fortune becomes on our side. 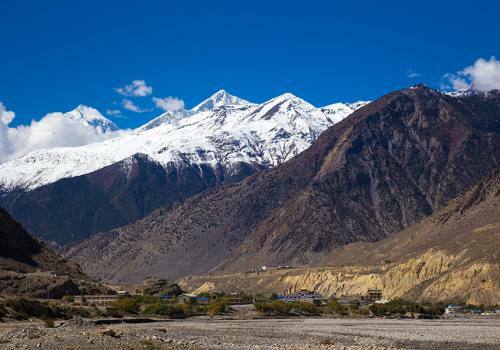 We reach to the High camp and enjoy the beautiful view of mountain and environment around. Overnight in high camp. Day 05:Mardi Himal Base Camp (4,450m) and back to High Camp Our trek starts with waking early in the morning and viewing beautiful sunrise. Then after having breakfast, we trek towards Mardi Himal Base Camp. Here we find the beautiful view of dzokpo (yak/ cow crossbreds) grazing up here as well as Danphe pheasant. In summer the sheep and goats from lower villages are brought up to graze in this area. 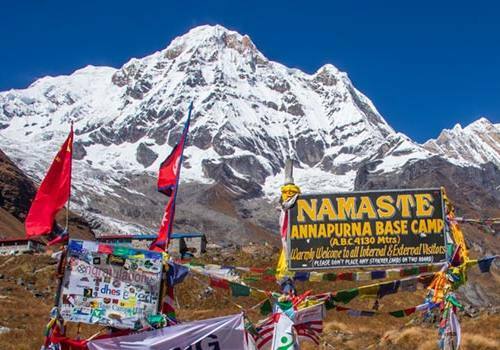 After some hours we reach Base Camp (4450m), from where we can have view of the Annapurna Sanctuary and all of the peaks in the Sanctuary as well as Hiunchuli and Machhapuchhre (Fishtail). 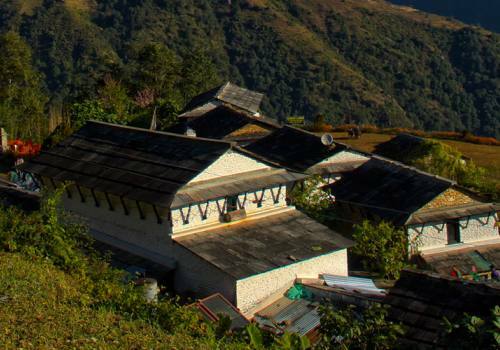 Day 06:High Camp to Siding Village Siding village is one of the traditionally popular village far from city lights which is naturally beautiful and consists of small lodges, houses and woods mesmerizing our eyes. We trek back to this beautiful village rather than going back to Kokar. Here, you can enjoy the lifestyle and culture of local inhabitants. We spend our night here. Day 07:Siding Village to Lwang After early breakfast, we leave Siding and head towards Lwang. On the way to Lwanng, you observe the villages of Kalimati and Ghalel which are villages of Brahmin and Gurungs. We spend our night here. Day 08:Lwang to Khora Muk to Pokhara This is nearly the end of our trek. We trek from Lwang to Khora Muk (nearly 1-hour trek) and Khora Muk to Pokhara (nearly 3 hours trek). The provision of the private van is also there for the ones who want to drive rather than walking. Overnight in Pokhara. Day 09:Drive to Kathmandu After having breakfast, we head towards Kathmandu. You will also be provided opportunity of shopping and visiting different beautiful places in Thamel. The aid in packing your luggage and enjoying your last night here will also be delivered. Just returned back from Mardi Himal Trek 2018. Wow what an amazing experience it was. I just loved walking in that beautiful landscape full of mountain, greenery and most obliging people. It was the best offering of god that provided Nepal extra points in its beauty. I loved everything around that area. Thank you, Nepal Trek Adventures for this amazing offer of visiting such a heavenly place on the earth. God bless you. See you soon for my next visit to Nepal. The Fixed Departure dates are listed for the special quoted price specified on Small Group Joining trip. 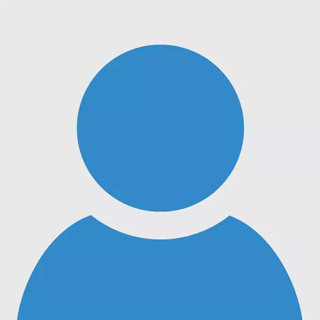 But we are flexible to receive any dates booking in Private Group Departure or Single Traveler basis for the year 2019, 2020 and 2021 on your suitable dates which can certainly be added by us in our fixed departure list.